I had the pleasure of interviewing Jillian Wright. 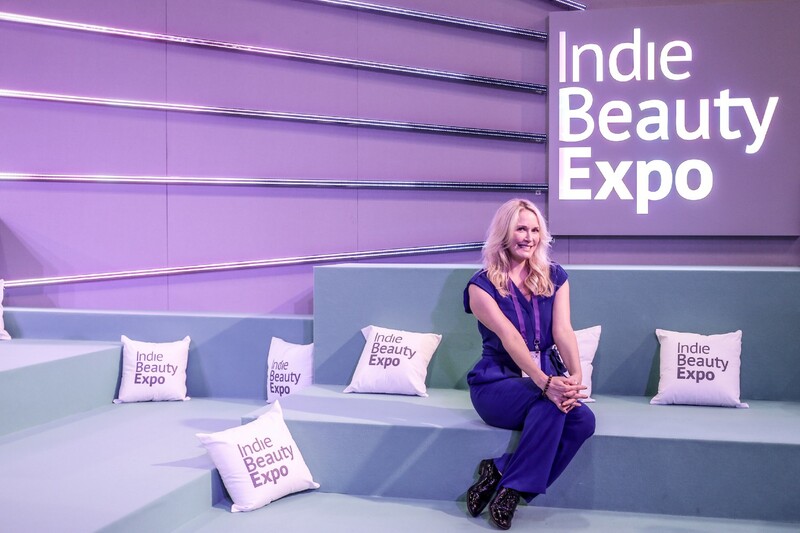 Jillian is the co-founder of Indie Beauty Media Group, producer of Indie Beauty Expo, Beauty Independent and BeautyX Summit. A trained esthetician, Jillian owned and operated Jillian Wright Clinical Skin Spa prior to founding IBMG in 2015. During her tenure there she also launched her eponymous skincare line. I always loved discovering beauty on the pages of magazines and trusted the opinions of editors over any advertisement. I was a spa owner and Aesthetician for 18 years and relied on the unique and hard to find beauty to fill up the white space in my retail environment, which made the assortment interesting and exciting for my clients. About 10 years into my career, I decided to launch my own luxury indie skincare line. Because I was consistently booked on top of having family responsibilities, the opportunities to network or promote my line — even in New York City — were few and far between. The word “trade show” wasn’t even in my universe. I realized very quickly that in order to attract buyers and press, I needed to get out there and meet people, but where? I started doing research and wasn’t satisfied with my options. Out of frustration, I approached my then facial client Nader Naeymi-Rad and asked him if he would help me produce a show specific to independent beauty. Without any hesitation, he said yes. Six months later, we launched the Indie Beauty Expo at the Altman Building with 80 brands, all who were in the same boat as me. When we started IBE, we had a simple mission: showcase great independent brands in a way that honored the hard work and innovative spirit their founders brought to the table. That was it. But as we started to gear up for our first show — a one-day event in NYC — and saw the incredible interest from all sectors, we started to realize that there was a lot more here. And after our first show, and all the feedback we received, it became clear that independent brands were going to play a big role in the future of beauty and wellness, but that there were many obstacles and unmet needs that had to be addressed. So we started to systematically go about building platform to help independent innovators succeed. First, we extended IBE to two days so there was more time for attendees to interact with exhibitors. Then we expanded IBE to Los Angeles and Dallas, and soon London and Berlin, enabling more local brands, buyers, press and shoppers to participate at IBE. We then launched Beauty Independent, our digital publication, to provide a voice to all the great entrepreneurial stories out there. We then launched BeautyX, our educational and networking summits, because we saw so many brand founders stumble because they didn’t have reliable sources to help them navigate key business questions and issues. Finally, with our Retail + Buyer Relation function, we now actively help buyers find the right brands and then help those brands onboard with the retailer. I went from working in a bubble, aka, my facial treatment room, spending one on one time with my clients to servicing an entire global industry of indie beauty entrepreneurs in just three years. I went from rolling out of bed every morning, doing the same routine, seeing the same people, to having conversations about beauty entrepreneurship around the world with press, retailers and people genuinely interested in independent beauty. I teach, lead, write and prevail, all because I was upset that I didn’t have a platform to do serious business with press and retailers. Word to the wise, don’t mess with the underdog! Honestly, we didn’t make any funny mistakes, Nader’s previous business experience helped inform the decisions we made. We did make a potentially costly mistake by using Paypal to process exhibition fees for our first event. We couldn’t get a merchant account because we were a brand new company and it didn’t matter that I had been in business for 18 years prior to this. Paypal held our funds for months and we had bills to pay. It was horrible. Luckily, in the end, we were able to open a merchant account with the company that my spa was with. That saved us. I think what makes IBE stand out is the authentic reasoning behind why I started the company and that our driving goal is, and will continue to be, to support the indie entrepreneur at every step. When I launched my luxury indie skincare line, I didn’t realize it was a completely different business than running a spa and doing facials. So when I finally decided to do a tradeshow, there wasn’t one that fit my business needs. Out of frustration, I blurted out, “I’m going to start my own show” and Nader was there to help me build this brand. We have been on this rocket ship since that moment. We went from a one day show in New York city, fast forward three years to 2018 and we have four shows now in LA, Dallas, NY and London, working with 500–600 exhibitors. In 2019, we are adding Berlin. Clearly, my idea resonated with the thousands of beauty entrepreneurs around the world and they trust us to help them do the right thing. If you are truly passionate about your business, it will take a lot to “burn out”. In fact, it is normal to live and breathe your company for the first few years. But, you must take time for yourself to recharge. It’s all a balance of being disciplined, being creative and knowing when to step back. When you start a business, it’s like having a child; you can’t do all of the things you used to or you will be burning the candle at both ends. You will need to change habits in your life and undoubtedly, make sacrifices. But these sacrifices and new found discipline could potentially bring you great rewards. It just takes time. You can’t overestimate the power of being organized, Nick Arrojo once said on a panel I moderated, “the numbers do not lie.” Keeping organized spreadsheets detailing each dollar your company spends and makes and where this money will go (and referring to it often) will help you expend less energy in the long run while creating a long-term business plan. Ask lot’s of questions and try to get referrals. For my team, weekly leadership meetings are very helpful. This forum not only encourages interdepartmental collaboration, but it creates an opportunity for transparency within the company. It serves as a weekly reminder that everyone on this team is working hard towards the same goal, which really stimulates creativity and reignites energy. None of this would have come to fruition without my co-founder Nader Naeymi-Rad. He was my facial client and friend and was one of the first people I shared my idea with. It’s one thing to have a great idea, it’s another thing to execute it. When I approached him with the idea, he just said yes. We produced our first show 6 months after our initial conversation. If he had made me create a business plan or given me the run around, I wouldn’t be having this conversation with anyone. He respected the creative process. He respected me. I will forever be grateful for his belief in me and my idea. His previous experience growing a global business and leading a team helped create the systems we have in place today within Indie Beauty Media Group. When I look around the room at our team members, we are a mix of people — some right brained, some left brained. We all respect each other and the process of running a startup. Our team works hard, beyond what is expected, because this is what our team sees in us as co-founders. This type of company is only able to thrive with the support of great leadership in every department. Nader doesn’t ask anyone to do anything he wouldn’t and hasn’t done, and he works harder than anyone I know. We lead by example. Our company culture was established and implemented by him and we are better for it. I also love that no matter what idea I have, he listens and we work to make it happen. I wanted a beauty business academy, we have BeautyX Summit. I wanted a directory with vendors I could trust, now we have Uplink which connects third party vendors and service providers with the brands, cutting cost and time to a fraction of what it would take to do research on the internet. Beauty Independent was Nader’s idea! The pattern here is if there is an unmet need, we fill it. There is no fluff. This is important business for brands that need tools to scale their businesses. The once discombobulated indie beauty sector of the industry, is now a community where we build each other up and support one another on our journeys. We are no longer the underdog. Consumers are asking a lot of good questions about their personal care routines and challenging the big conglomerates of beauty. Indie beauty entrepreneurs have the opportunity to provide healthier solutions while forging a movement forward, whether it is locally, nationally, or globally. We are nimble, can bring products to market quicker and communicate directly with people, more than ever before. This is very powerful not only for humans, but for the environment and the entire life cycle of a brand. It’s a collective effort to bring goodness, and if my voice is a proponent in echoing the message of thousands, I’m happy to continue to spread the good gospel of supporting the beauty entrepreneur. There is a solution for everything. I try to live by this mantra so I don’t get upset and instead, take the time to problem solve. Getting emotionally elevated over something isn’t good for your health nor is it good for the task as hand. You can’t do it alone. It takes a village and everyone has their strengths. Focus on what you are good at and accept the help of people who can fulfill the other parts that will push the business forward. I partnered with someone who is the opposite of me. This allows you to approach challenges in a multidimensional way. Position yourself as leader and mentor not just within your company but to those in your community. People will look up to you and follow your lead and this gives you the opportunity to really move the needle in your industry. Learn how to love a spreadsheet! I spent more of my professional time in a treatment room and I never learned how to create a spreadsheet and use it efficiently. It’s a valuable tool to create and organize everything from schedules, to budgets or even graph information. Never stop networking. Always make yourself available to meet new people and help those that need to be pointed in the right direction. Networking connects you to the community you serve, provides you with opportunities to learn and discover, and will help you continue to encounter people that will be important to your success. Be steadfast. Being an entrepreneur is not for the faint of heart. To be successful, you need time, patience and discipline.